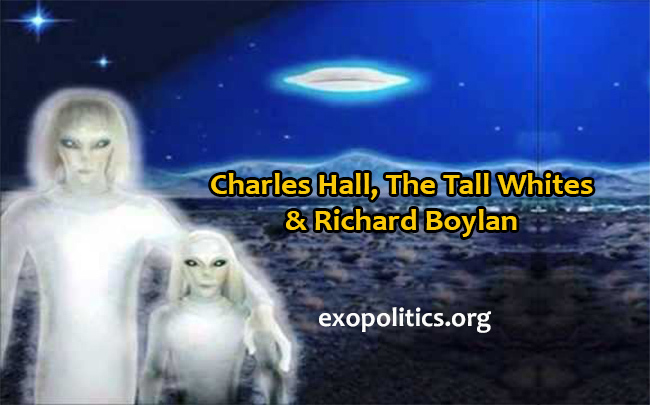 In order to acquaint readers to Charles Hall and his testimony concerning the Tall Whites, and why Goode’s conclusion about them is accurate, I have decided to re-post a series of articles and interviews about Hall’s testimony, which began in November 2004. What follows is the first article in the series. [Repost: November 18, 2004] I recently received a message from one of Dr Richard Boylan’s lists discussing his views on the Tall Whites discussed in Charles Hall’s memoirs, Millennial Hospitality, vol 1-3. (the message is copied below). I find it quite disturbing that Boylan has moved quickly to unambiguously promote the Tall Whites discussed in the Charles Hall book to his various lists. Since Boylan has large lists and therefore has some influence in shaping the perceptions of a quite a number of people about different ET races, I’d like to elaborate a little on an earlier post in a discussion forum where I discussed the Tall Whites and Boylan’s advocacy of them. Let me also reaffirm my earlier view that Hall’s information is an accurate reflection of what occurred at Nellis Air Force base during his Tour of Duty and therefore deserves serious attention. The researcher Paolo Harris has thoroughly investigated Hall’s claims and finds him to be credible making this an important case to fully understand in terms of its exopolitical significance. Hall describes the Tall Whites as quite intimidating in terms of behavior and how they regularly stalked military servicemen on duty at the remote desert location where Hall served. The Tall Whites regularly caused powerful emotions of fear and even terror among the military servicemen who didn’t understand these Extraterrestrials or weren’t ready to interact with them in a friendly way. Yet the Tall Whites were also capable of exhibiting friendship qualities and of being teachers as in the case of Hall (see his website for details and extracts). I’ve now completed the first two volumes of Hall’s memoirs and so far the behavior of the Tall Whites strikes me as very similar to abductee/experiencer reports of the behavior of the ‘Tall Gray’ category of ETs (the following references give the volume and page numbers from his book). There is an arrogance in the disposition of the Tall Whites and a contempt for humans displayed in their interactions with military servicemen who didn’t understand them or were frightened by them. This is similar to how `Tall Grays’ supervise many abductions and control/punish humans who resist the genetic experiments. “They’re back there, Charlie. Don’t go back there. You’ll scare them like I did. They’ll kill you if you scare them. They told me so. That tall one in the corner, he told me so. He said he’d kill me if I ever scared their children again” (vol 1, p. 469). “You know general, before now, I would have never thought it possible. If my daughter had tried to approach any of the others, the way she walked right up to Charlie today, they would have panicked and we would have had to kill them all” (vol 1, p. 452). If the Tall Whites are so humane with their stun guns, why would they have to kill all the panicking soldiers rather than just stun them as Boylan describes? This is `Charlie Baker,’ [Hall] the teacher stated proudly. “He is just perfect for my pet project. See how gentle he is, and see how easily we can control him” (vol 1, p. 448). Harry said the Real teacher’s Pet is too valuable for us to ever draw our guns on him. He said if the Real Teachers’s pet were ever killed, he could never be replaced. Old Harry said that if Sam and me had been facing the Real Teacher’s Pet, once we actually pointed our guns at him, or once he fell to the ground, both of use would have been killed instantly, before we were even aware that we were bing fired on. He said those were the direct orders he’d receiveed from the Teacher. He said both Sam and me would have been killed without warning and that neither of our guns would have ever fired. (vol 2. 179). “Alright”, replied his mother, “You may join the teacher’s pet project. Remember! Do not get too close to him, and remember, if anything ever goes wrong, if Charlie ever touches you, I will ask your uncle Harry to kill him (vol 1, p.449). So here we have a very brutal doctrine of killing military servicemen who disobey orders and that this has occurred in the past. However the intimidating behavior of the tall Whites is not at all consistent with descriptions I’ve seen of the Arcturians. If there is some connection with Arcturus, it may be purely genetic as the Tall Grays have a reputation for extracting genetic material from different races. The Arcturian connection may have been no more than a period where Arcturians were involuntarily taken on board Gray ships and incorporated into their genetic experiments in much the same way that humans are taken up by Grays on Earth. Thus Gray-human hybrids may be taken to other solar systems and claim to be Earthlings, yet this is purely a genetic connection. over by the Grays. I’ve described this incident in my ET Motivations Report here. This accounts for the Tall Whites Nordic features that Hall describes, and their Gray/Reptilian characteristics such as 4 digit hands with two inch claws rather than nails. 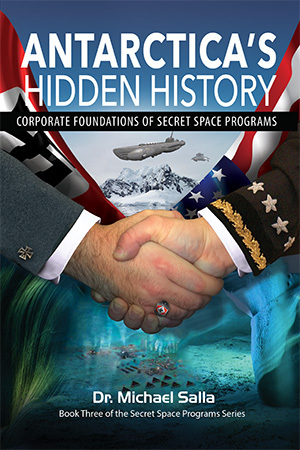 My overall conclusion is the same with all the extraterrestrial races who have struck agreements with the US government and established a presence on Earth in exchange for extraterrestrial technology, and working in joint projects. They should be very closely watched and frankly regarded with much suspicion in terms of their motivations for participating in such agreements. Now given the disturbing behavior of the Tall Whites as Hall describes them, frankly I’m appalled that a researcher such as Boylan would consider such a race as exemplary Star Visitors which we should befriend, as he is currently advocating. As I’ve described in my report on extraterrestrial motivations, there are many other extraterrestrial races who are more honorable and display much more elevated qualities. Reading the `contactee’ reports of these extraterrestrials Pleiadians, Andromedans, Lyrans, etc., doesn’t leave one with feelings of distrust and apprehension. On the contrary one often feels a great degree of love and joy, coming through. For example, I recall reading George Adamski’s discussion of the ‘Venusians’ and how they would rather give their lives when cornered rather than inflict injuries on other sentient life forms (http://www.universe-people.com/adamsk_e.htm ). It sounds very Christ-like, and while I don’t personally agree that such an attitude is very practical, it does have an emotional impact to know that some ETs actually practice elevated ethics that most would consider Christlike. The contrast with the `Tall Whites’ Hall describes couldn’t be greater. 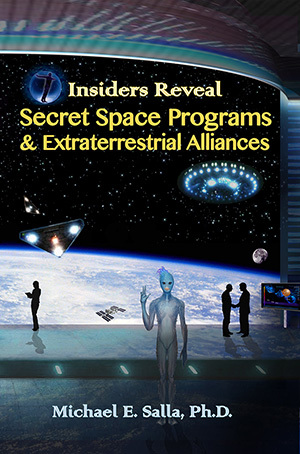 Importantly, contactees such as Billy Meier, Alex Collier, Enrique Castillo, etc., say that the Pleiadian and Andromedan extraterrestials they interacted with, warned about working with the Grays who have a reputation for infiltrating worlds and taking them over and using the captive population for genetic material. This finally takes me to Dr Richard Boylan who is now openly advocating his supporters to establish telepathic communications with the Tall Whites in a series of experiments. As one can see from his post he doesn’t mention the disturbing incidents described in Hall’s book, and just gives a glowing assessment of the Tall Whites, and the need to get in touch with them. Boylan has consistently ignored all the evidence of negative behavior by the Grays and other ET races such as the Reptilians, and criticized researchers or `abductees’ who have pointed out the negative behavior. I’ve written a short piece some time ago pointing out the flaws in Boylan’s research approach in doing this, but he has not taken the hint to change tack. Now Dr Wolf is here acknowledging the existence of negative ET’s so it certainly is not disinformation to posit negative extraterrestrials unless Dr Wolf himself is spreading disinformation. Yet Boylan has been careful not to acknowledge this information or allow it to be distributed on his lists. He has done similar things with other whistleblowers such as Robert Dean and Clifford Stone who refer to negative extraterrestrials. To summarize, Boylan is dismissing the negative incidents described in the Hall book and giving an upbeat assessment of the more positive interactions of the Tall Whites. Dr Boylan is now acting as a Tall White propagandist, and advocating them as a kind of exemplary model of `Star Visitors’ that we should eagerly seek to cultivate. In conclusion, the Tall Whites are likely a genetic variation of the Tall Grays, and most likely originate from the Rigel star system of Orion where a Nordic world was alledly infiltrated and taken over according to the testimonies of a number of contactees. This Nordic world whose genetic material is used along with other races such as the Arcturians is used to build hybrids that ultimately appear to be Nordic ETs, but are much closer to the `tall Grays’ and their questionable agendas. The Tall Whites should be treated with extreme caution and suspicion. I recommend that individuals choose to establish contact with more benign extraterrestrial races such as the Sirians, Pleiadians, Andromedans who don’t have a track record in abductions or intimidating humans. The thought experiments Dr Richard Boylan is advocating to his members to get in touch with the Tall Grays is based on a propagandized version of the Tall White `star visitors’. Recent communication exchange with former USAF Airman Charles J. 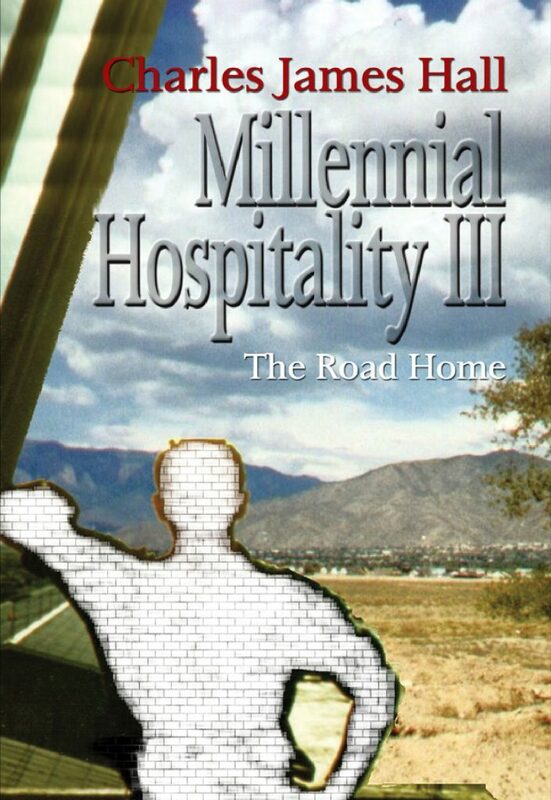 Hall, author of the “Millennial Hospitality” trilogy, coupled with content revealed in his books, brings forth the following interesting revelations. There exists an extraterrestrial race whom Mr. Hall has called the Tall Whites. This race originates from a location near the star Arcturus. These Tall Whites are in adulthood around six feet in height and have generally humanoid features. They have blond hair, generally worn short, and the women tend to wear their hair in a feminine form of short cut. They are blue-eyed, and have larger-than-human eyes which wrap part-way around the side of their head. The Tall Whites otherwise look quite human, except that their skin is a chalky-white in color. They have hands with four fingers, which do not end in finger nails but rather in harder, two-inch-long claw-like appendages. The typical clothing of the Tall Whites is an aluminized, chalk-white jump suit of canvas-looking fabric. They also wear gloves of the same material, and an open, white, motorcycle-like helmet. Both the suit and the helmet emit a three-inch-out field of soft-white flourescent light. The intensity of this emitted light can be varied from soft to too bright to look at without strain. These Tall Whites have very high intelligence and an information-processing speed which Mr. Hall estimates at 3-1/2 times faster than bright humans. The Tall Whites’s technology is advanced. One element of their technology is a transporter suit which they put on which provides personal antigravity levitation and above-ground movement, as well as force-field protection against attacks, e.g., would slow a bullet to where it would fall to the ground. Another element of their technology is their spacecraft. They operate smaller scout ships which can transport a limited number of individuals. And then they have deep-space vessels than can travel between star systems. Their scout craft are white in color, ellipsoidal or egg-shaped, with a molded flat bottom. It has a row of large windows on each side, sort of like an airplane. Its size is comparable to that of a passenger train’s diesel engine, and has two windows in front like such a train diesel engine. The range of these scout craft permit travel as far as the Moon or even Mars. But not deep space. Their deep-space vessels are very large, sleek, black antigravity craft, 70 feet high, 300 feet wide, and 500 feet long. These vessels also have pilot windows, as well as have regularly-spaced running lights along their edges. Their range extends out many light years into space. Their top speed exceeds the speed of light by a considerable margin. Yes, Einstein was wrong about that. The Tall Whites in their interactions with humans often carry stun devices for protection, eight-inch-long white tubes which can emit a microwave beam that can excite the sodium atoms in the nervous system of a threatening human and render the human unconscious for a limited period of time. A contingent of Tall Whites have been resident in the Indian Springs Valley region of central Nevada since before the first Euro-American settlers moved west. These Tall Whites have found Earth to be a convenient way-station in their travels within this sector of the galaxy. As Charles Hall explains it, Earth’s sun is located in the middle of a very large, 10-light-year-diameter empty section of the galaxy. Most stars occur in groups, with another star within two light-months distance. Thus, for civilizations living on star systems near this empty-space “bubble”, Earth serves as a handy mid-way rest, supply and repair station. The Tall Whites have established a residential location within French Peak, about 25 miles north-northwest of Indian Springs Auxiliary Air Force Station, Nevada. They also have a main base and space vehicle repair facility which is also built into the side of a hill at the north end of Indian Springs Valley, not too many miles from their residential location. When Tall Whites deep-space vessels approach Earth from space, they make an initial landing at Dog Bone Lake, 25 miles east of French Peak on the Nellis Air Force Range, Nevada. Then they make a lateral transition to the main hanger, where huge doors part to admit the vessel, then re-close. Presidents (including LBJ), select top Senators and Congressmembers, and select Generals and Admirals are aware of, and have actually met Tall Whites, either at carefully-arranged events in Washington, DC, or on the Nellis Air Force Base Range, Nevada The Tall Whites have made arrangements with the U.S. government at the highest levels to have their central-Nevada facilities undisturbed. In exchange they provide advanced scientific and technological information which has permitted rapid advances in science and technology on Earth. Some of their scientists work as technical consultants at advanced laboratory installations, including northern California, Nevada, and elsewhere. The Tall Whites facilities in central Nevada serve as locale for Visitors from other star system to come and study the English language and American culture. These Visitors aree intensely curious about life and customs on Earth.